Still to be determined is whether President Trump will sign off on the deal, which falls far short of his demand for money to build more than 200 miles of border wall. WASHINGTON — Key lawmakers said late Monday that they had reached a tentative agreement over immigration rules and funding for border barriers, a deal that, if signed by President Trump, would avert another government shutdown set to start at week’s end. 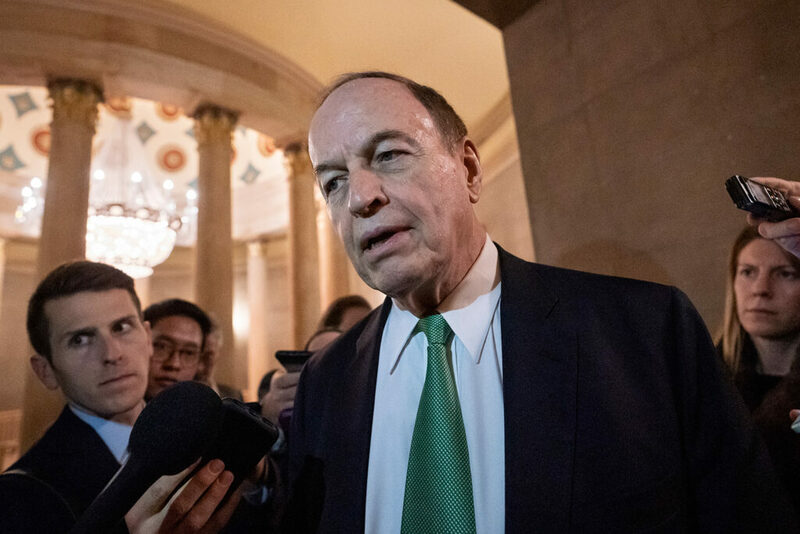 “The fact that it looked like there was going to be another shutdown imminently” brought renewed efforts on Monday, said Senate Appropriations Committee Chairman Richard Shelby, R-Ala., after announcing the deal. 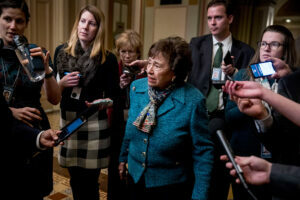 House Appropriations Committee Chair Nita Lowey, D-N.Y., speaks to reporters Monday as she arrives for a closed-door meeting before House and Senate negotiators reached an agreement in principle on border security to avert another government shutdown. Trump has readied a plan to declare a national emergency on the southern border, which he believes will allow him to redirect taxpayer money from other projects to build parts of a wall – without approval from Congress.